The ABCD Diaries: Mrs. Freshley's Semi-Homemade Treats for Valentine's Day! Mrs. Freshley's Semi-Homemade Treats for Valentine's Day! 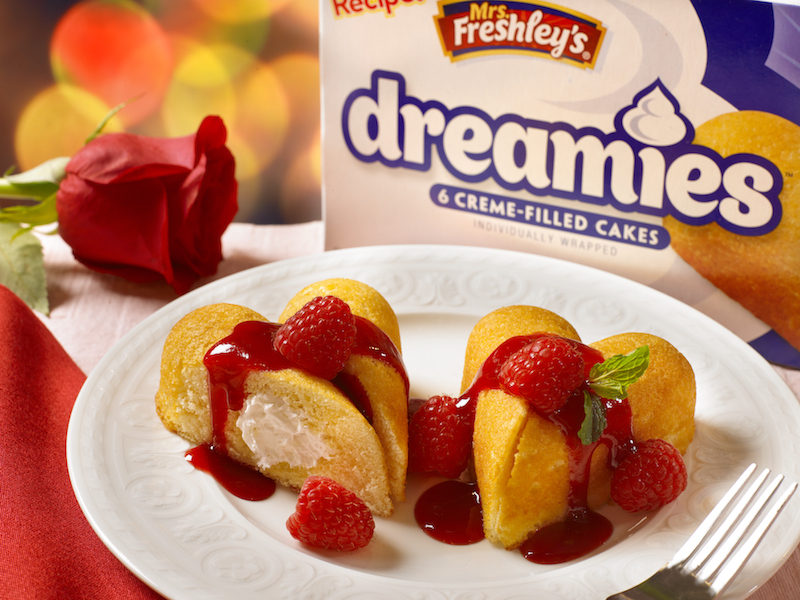 Just in time for Valentine's Day, Mrs. Freshley's treats can help you make delicious semi-homemade treats in snap! Check out these awesome recipes below using some of our favorite Mrs. Freshley's treats! -Place stencil on top of a Mrs. Freshley’s Fudge Cremes. -Sift some confectioners' sugar over the stencil and Fudge Cremes. -Remove the stencil, revealing the desired designed. -Place one halved Mrs. Freshley’s Chocolate Bell on wooden skewer. -Next place one strawberry, followed by one marshmallow. -Repeat steps until skewer is full. 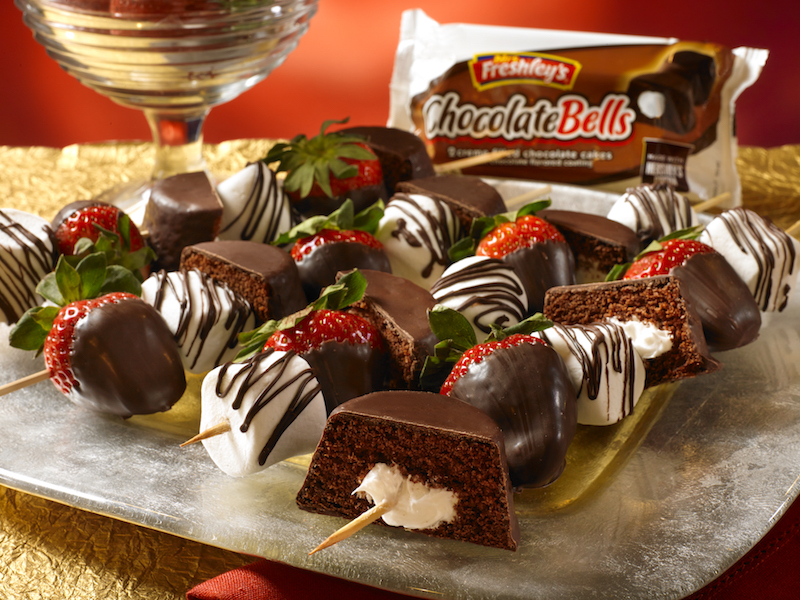 -Prepare melting chocolate according to package directions and drizzle over kabobs. -Combine cut strawberries, sugar and vanilla extract in medium bowl, refrigerate for 1 hour for juices to combine. -Slice Mrs. Freshley’s Dreamies diagonally and place in a heart shape. -Top Dreamies with strawberry mixture. -If desired, drizzle with chocolate syrup. 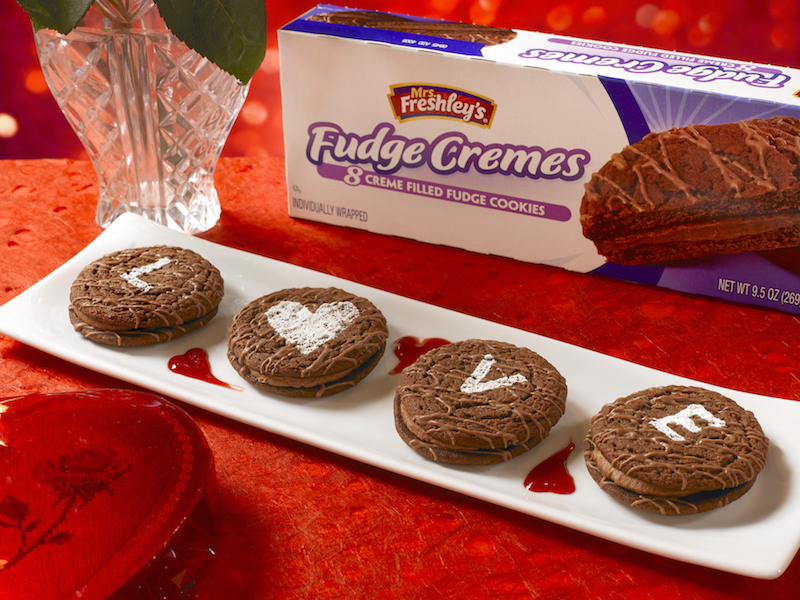 Grab a box of Mrs. Freshley's treats to day and get started making your own semi-homemade Valentine's Day treats!